Laughter and smiles, their eyes are getting tired. Soon their heads nod and bob down in soft slumber. Stitched quilts, tuck them into their warm and welcoming beds. Sweet dreams will arrive as they doze into sleep. Sneaking back to their stockings, hoping no eyelid lifts. Tokens of love await them in the morning. while Daddy gets to enjoy the "milk and cookies" that our kids put out. easier but the excitement is still the same on the eve of the big day! stuffed into the toe, some small gifts, and a handful of chocolates! 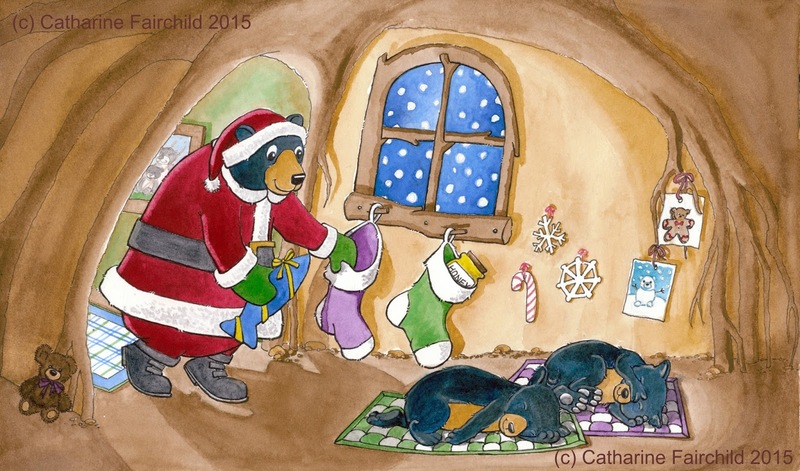 a parent plays 'Santa' and quietly fills each of their carefully hung stockings. A cozy den under the tree roots, soft quilts cushion their sleep. Yummy treats tucked into their stocking will make the morning so sweet!